Mother’s Day is coming right up! To me, Mother’s Day is the official start of fun. The weather is usually nice, and it’s beginning to feel like summer. The school year starts winding down. 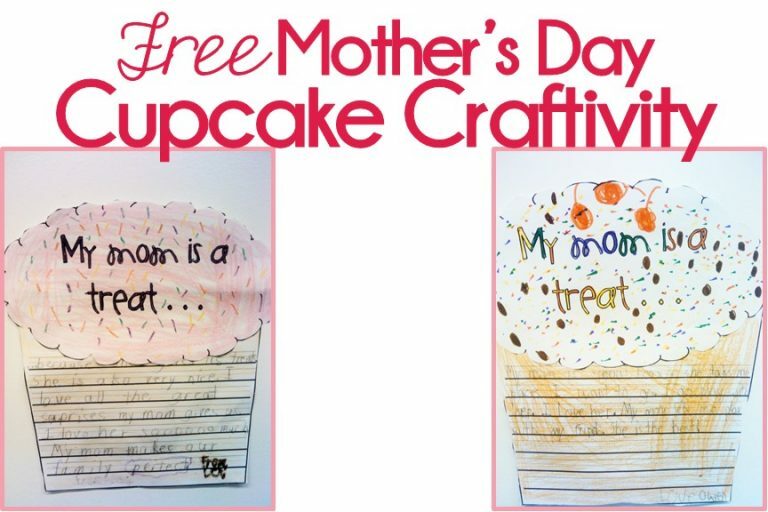 Last year I posted this free Mother’s Day cupcake craftivity and took lots of cute pictures of it up all over my school. Here are a couple from some firsties. It’s a pretty simple design meant to be copied onto white paper for kids to color themselves and add some character. I love the sprinkles, and the cherries on top, of course! It’s no prep except for the cutting- which makes your life much easier! You can click on the picture below to head to my TpT store to download it for yourself for free. Love all of these ideas!! I actually just blogged about the "Craftivity" I have my kiddos create for our mothers! (craftivities are the thing, aren't they?!) It's an easy craft with a cute writing prompt!